This newly released false-color view from the Cassini Spacecraft gazes toward the rings beyond Saturn’s sunlit horizon. Along the limb (the planet’s edge) at left can be seen a thin, detached haze. This haze vanishes toward the right side of the scene. This view is a false-color composite made using images taken in red, green and ultraviolet spectral filters. The images were obtained using the Cassini spacecraft narrow-angle camera on July 16, 2017, at a distance of about 777,000 miles (1.25 million kilometers) from Saturn. Image scale is about 4 miles (7 kilometers) per pixel on Saturn. 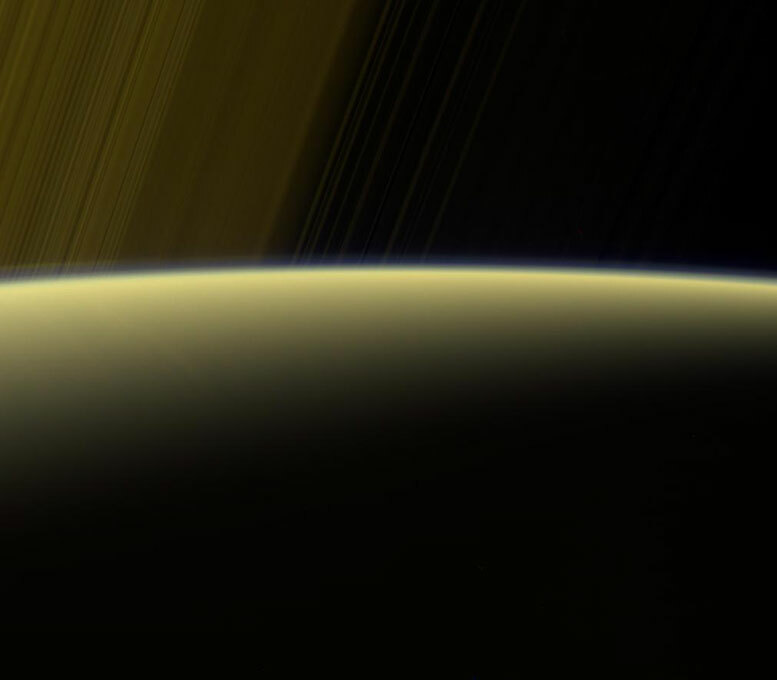 Be the first to comment on "Cassini Spacecraft Views Haze on the Horizon of Saturn"